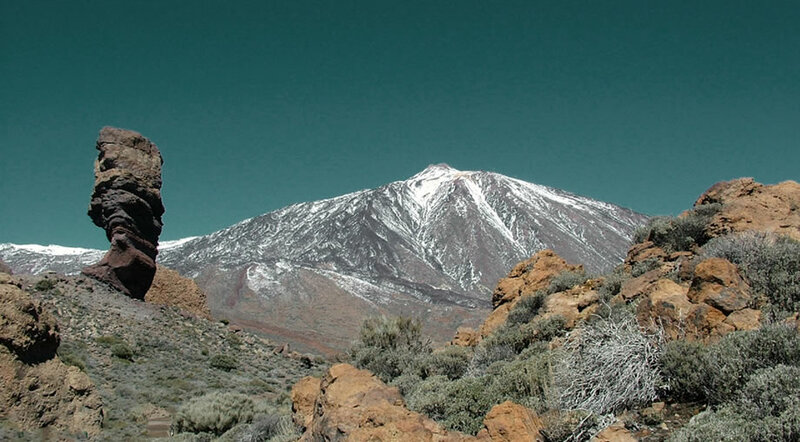 Warmest Canary Island During Winter - Where to go on holiday? 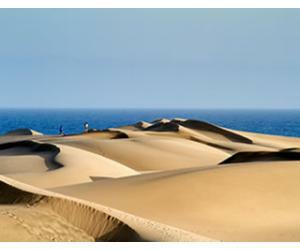 The Canary Islands have become a very popular destination during the last years, especially during the winter months. Most of continental Europe has cold weather during the winter months, so the Canary Islands represent a great choice for a sunny holiday in December or January. Located just 4 to 6 hours away from most countries like the UK or Germany, the Canary Islands have a warm climate even during winter, with temperatures rising above 20 °C. Besides the Canaries you also have the option of Southern Spain, as the region of Andalucia is the warmest part of continental Spain and has plenty of hours of sunshine even during winter. 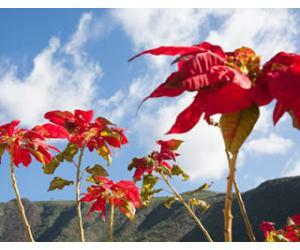 Canaries in December - How are the Canary Islands at Christmas? 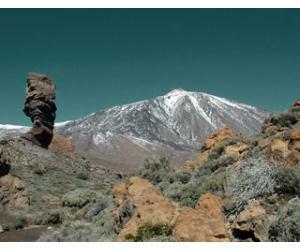 These are actual photos from Tenerife in December and also from early January. During the daytime in the south the temperatures often go above 20 °C up to a max of 26 - 28 °C. The weather is hot enough to sit on the beach an even enjoy a swim in the ocean. The average temperature for the ocean water in December is around 19 °C, which may be too cold for some, but many people still enjoy a good swim after a few hours in the sun. During the winter months you can look for hotels or villas with heated pools, where the water is warm enough for swimming all year long. Waterparks in Tenerife like Siam Park and Aqualand are still open in December and in fact all year long and the water is warm enough to enjoy the rides. 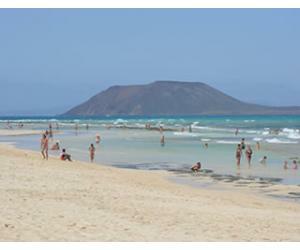 Other smaller aqua parks like the one in Fuerteventura in Corralejo are closed during the winter months. 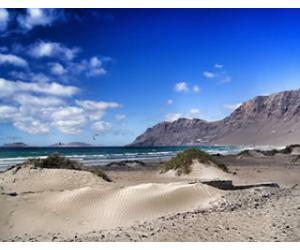 Conclusion - Which is the warmest Canary Island at Christmas and in Winter in general? Based on the numbers above, it seems that Tenerife is the warmest in December and overall is the hottest during all the winter months. 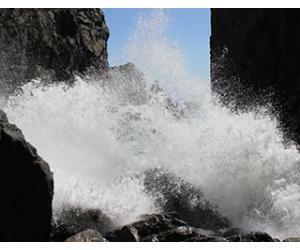 Be careful though, because those temperatures refer only to the weather in Tenerife South. In the north it is much cooler, cloudier and it rains more often. Tenerife has an ideal location, so it will have lots of days with temperatures above 22°C, even up to 28°C in the sun and the water can reach temperatures between 19 - 22 °C. January is generally the month with most rain out of the entire year, but the weather should still be warmer and better compared to the rest of mainland Europe. 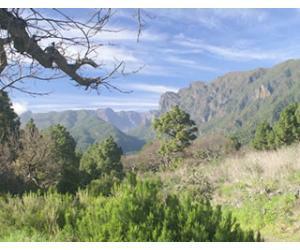 The south of Gran Canaria has a climate that is similar to Tenerife, so it's a great option also for your winter holiday. Lanzarote and Fuerteventura usually have more days with strong winds, which makes the weather seem cooler compared to Tenerife. So as a conclusion, our recommendation for the best Canary Island in December (and actually the best Canary Island for winter sun) would be Tenerife, followed closely by Gran Canaria. This doesn't mean you should avoid the other islands, because the weather will still be warmer than most places, but you will just have to expect more wind and a few more showers during the day. Besides the weather, it all comes down to personal preference, since each island has its unique feeling and atmosphere and you should also take this into account.